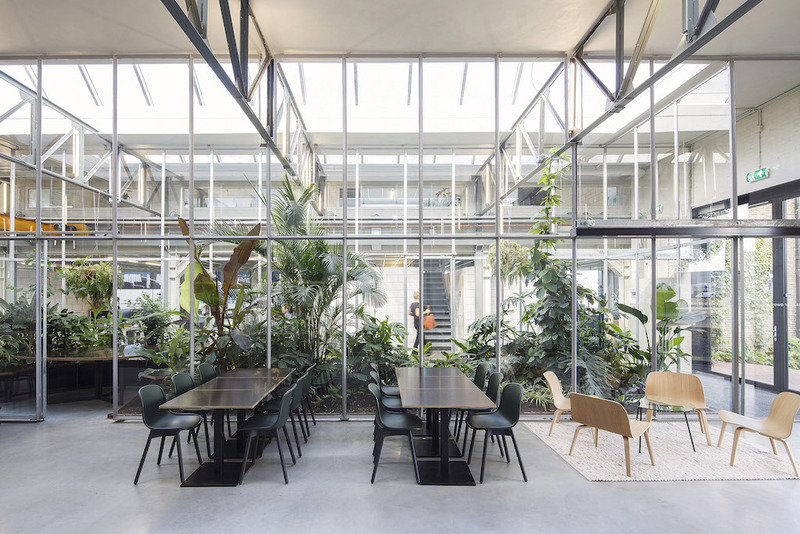 Space Encounters won the pitch to design and construct the new Joolz headquarters in a former machine factory building in Amsterdam-Noord. The fast-growing Dutch company designs and manufactures push chairs and aims to do things differently. Joolz has a strong ideological agenda when it comes to responsible entrepreneurship. 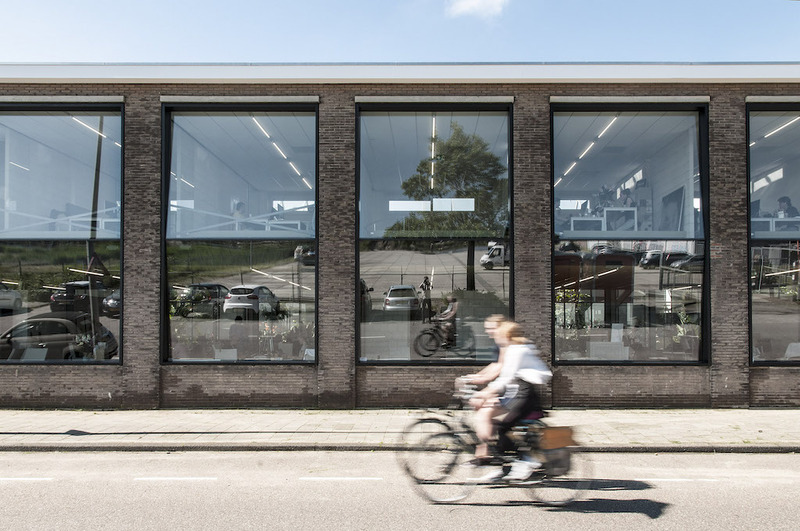 The focus of the new building is their core value: positive design. 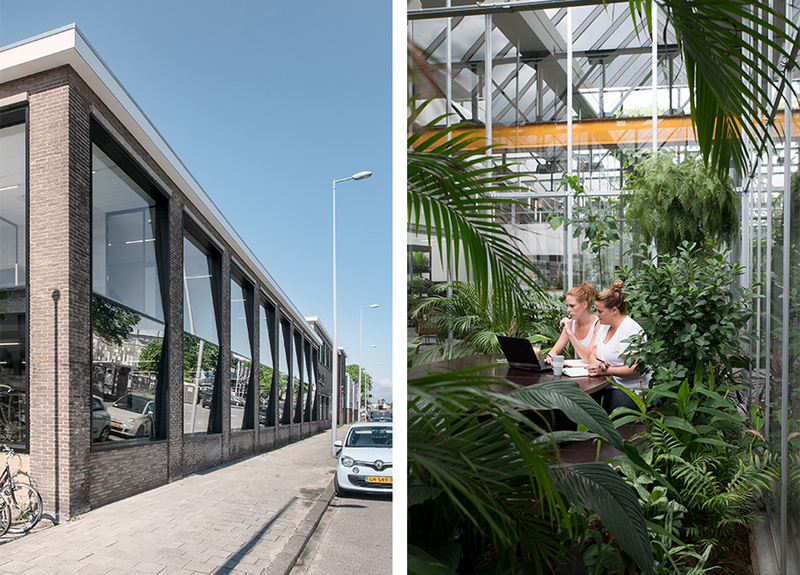 The new office measures 1.600 m2 and is located in the upcoming area of Amsterdam-Noord. 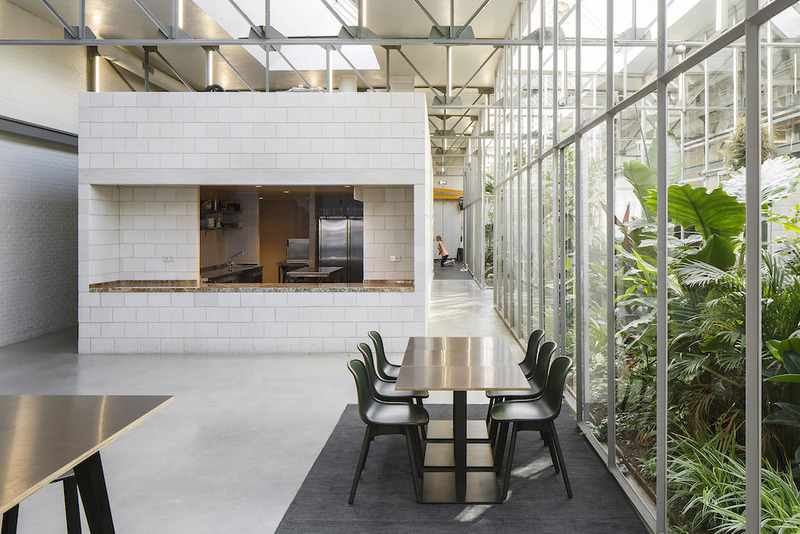 The existing building consisted of a spacious warehouse and a generic office building, and it was obvious where the quality and character resided. Unfortunately, the office blocked the industrial hall from view from passersby. The first step to fix this imbalance was to remove all the walls on the ground floor, thus making the warehouse visible from the street. Subsequently, large openings were made in the office building’s facade, further removing all traces of mediocrity. The new glazing was placed under an angle to improve transparency, in line with the brands beliefs. 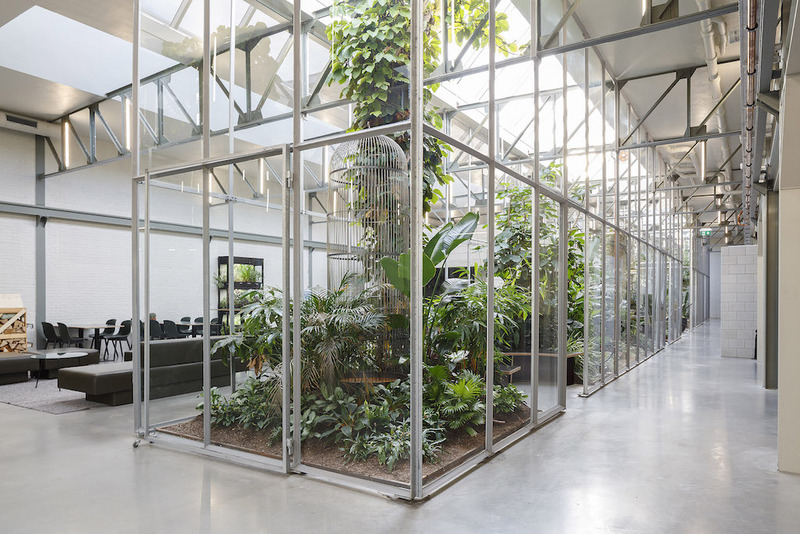 The main intervention are three lavish gardens filled with trees, plants, birds and fish. Created underneath three of the existing roof lights, they echo the scale and logic of what was already there. 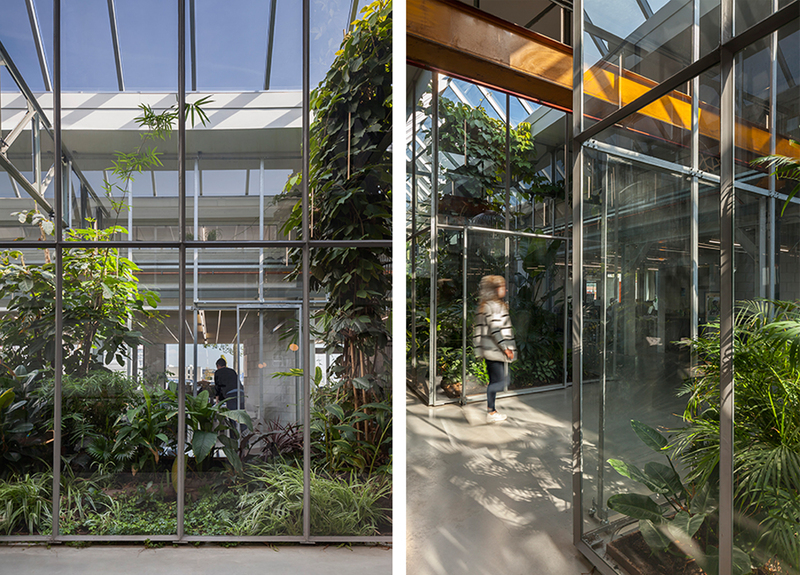 Besides expressing the Joolz ideology by providing a pleasant backdrop for the daily routines, these large glazed gardens improve the internal climate and provide employees with some more exotic choices to pick as their work location for the day.